Quite rightly, Andrew believed that looking someone in the eye, shaking their hand and making a promise to deliver was always the best way to do business; however at ‘thebestof Bolton’ we believe there is a middle line to tread. Word of mouth has long been the best type of referral any business could get; someone who has experienced a great product or service, sharing their experience and recommending another to do the same. What better marketing can anyone do? At thebestof Bolton, we believe there is a middle line to be taken. Customers want peace of mind, they are usually prepared to spend money on a product or service they require BUT they want to know they are going to get VALUE FOR MONEY and GOOD SERVICE. This is often very difficult to determine from the Google lottery of businesses who turn up on a search term on the internet or from the many businesses who are using social media to promote their wares. Using reviews and testimonials – that is third party accreditation – ‘Word Of Mouth’ in other words, from previously satisfied customers, thebestof Bolton spread the good news using Social Media and the internet to give those testimonials a much bigger audience and impact. Why wouldn’t you use the technology available to dramatically increase your chances of benefiting from the good things your customers have said about you? Leave it to chance and your customer may tell two or three people about good service they received, use Social Media and you can multiply that number by hundreds and even thousands! 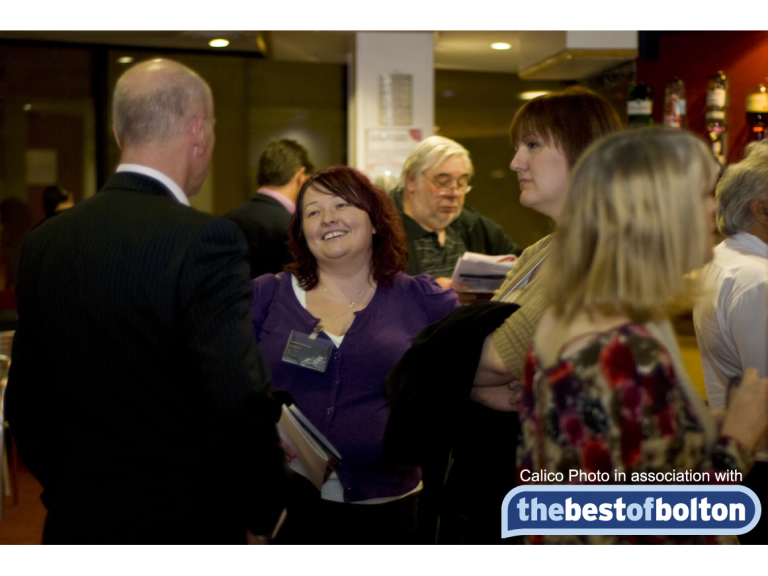 At thebestof Bolton we wholeheartedly agree with Andrew Dickson that face to face is the best way to gain someone’s confidence and trust, that’s why we too hold regular Networking Events but when it’s difficult to get in front of every potential customer and there is an alternative, we suggest you use it! Thebestof Bolton promotes Bolton based, independent companies that come by the recommendation of previously satisfied customers, combining both the tried and tested, traditional methods of word of mouth and digital means like Social Media and blogging. If you would like to know how your business could benefit by working with thebestof Bolton, contact Gaynor for more information.